Rebekkah Barrow never forgot the attention her grandmother Maylene bestowed upon the dead of Claysville, the small town where Bek spent her adolescence. There wasn't a funeral that Maylene didn't attend, and at each one Rebekkah watched as Maylene performed the same unusual ritual: She took three sips from a silver flask and spoke the words " Sleep well, and stay where I put you. " Although she is still grieving for Maylene, Rebekkah will soon find that she has more than a funeral to attend to in Claysville, and that what awaits her may be far worse: dark secrets, a centuries-old bargain, a romance that still haunts her, and a frightening new responsibility—to stop a monster and put the dead to rest where they belong. Byron Montgomery, is the new Undertaker of the town, following in the steps of his father. Like Rebekkah, he grew up in Claysville. Prior to Rebekkah leaving town years ago, both she and Byron were very close; however, things didn’t end so well. Byron dated Rebekkah’s sister for a long time, until the day she committed suicide. Byron and Rebekkah blamed themselves for years because, the night prior to her sister’s suicide, the two shared a kiss. This lead to Rebekkah leaving town, ending whatever began years ago between her and Byron. Now that she’s back in town, there is an unmistakable magnetic force between the two. Graveminder builds on the simple concept that the spirit of those who die must be tended to in order to ensure their crossover and to keep them away from roaming the earth. Should they not be properly tended to, they will bring harm to the living. This is definitely one of my favorite elements of Graveminder. I also appreciate Melissa Marr’s creepy factor she brings within her writing style for this particular novel. Some parts of Graveminder definitely gave me goosebumps! I would love for Melissa Marr to release a sequel to this novel as it has a lot of potential to become an awesome new series. The characters were well developed and were very likable. I especially liked Byron in this story. He was Rebekkah’s “white knight in shining armor”, protecting her from all things evil. Not only was he determined to keep her from harms way, he genuinely cared so much for her, and wanted her to realize that they are truly meant to be together by fate. 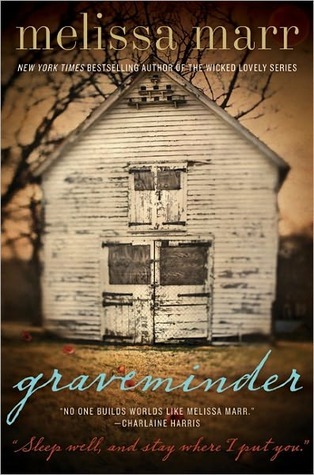 I recommend Graveminder to those who enjoy Adult Fiction however, it's also suitable for YA readers. @Jenn, Thank you hun! 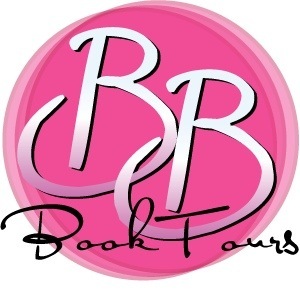 I really enjoyed this novel and I'm sure you will too! Now I am confused! "I recommend Graveminder to those who enjoy Young Adult fiction and Mystery". I thought this was Adult? I really like your review. I think it would be approppriate for YA, but it's described as Melissa's first adult novel on her website. There wasn't anything in the novel that made me feel as though it should be classified as an Adult novel, however that is the description as Tynga mentioned lol. 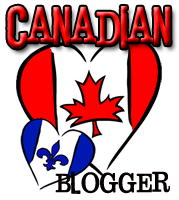 Thank you for letting me guest post Tynga! I really enjoyed this book when I read it as well. There is supposed to be another book at some point...and I'm really looking forward to reading it! I'm glad to hear that you enjoyed this one so much! @Samantha, thank you! I'm glad you enjoyed it as well! Well, Adult of YA, are the main characters over 18? If so, then I'll put it on my wishlist. If not, it is YA in my opinion. The main characters are over 18, hm you got a point there! But as Tynga said, it is appropriate for YA readers. I may have to change that, thank you for pointing it out! Two new members to the Tynga’s Reviews family! Still looking for a new reviewer!